The main objective of The Global Home Index was to evaluate how the amount of work required to build and care for healthy, thriving home environments is understood and valued. 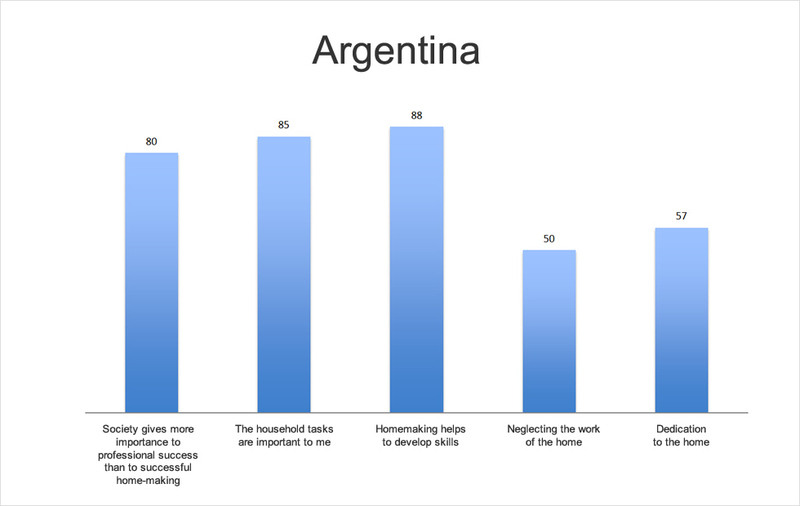 The percentage in the graph shows the amount of participants who think that Society gives more importance to professional success than to successful home-making. 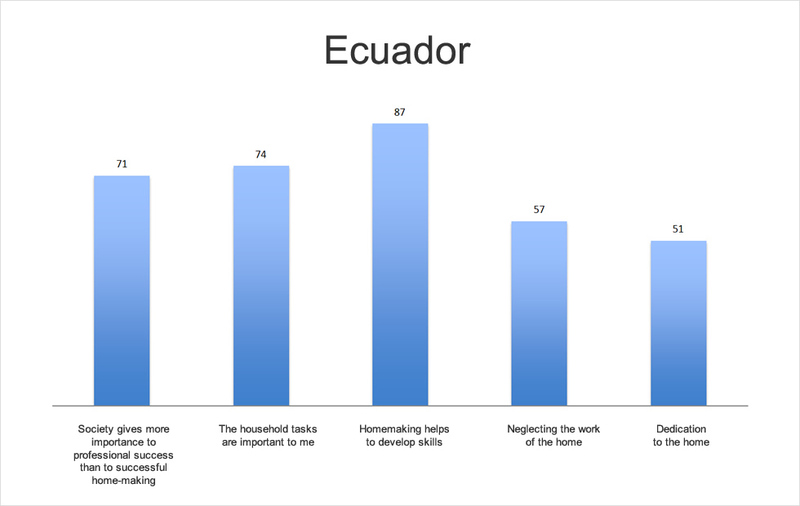 The percentage in the graph shows the amount of participants who think that the household tasks are very important for their own lives. 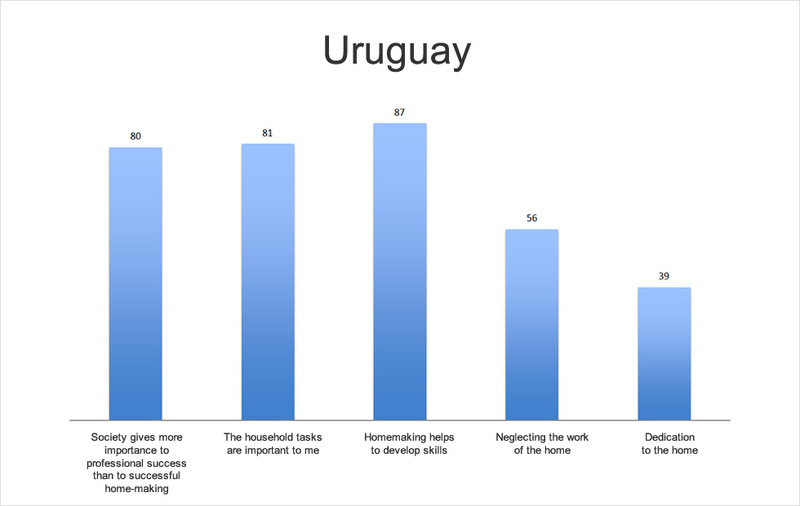 The percentage in the graph shows the amount of participants who think that taking part in family life and doing household tasks help them to develop their skills in other areas of life. 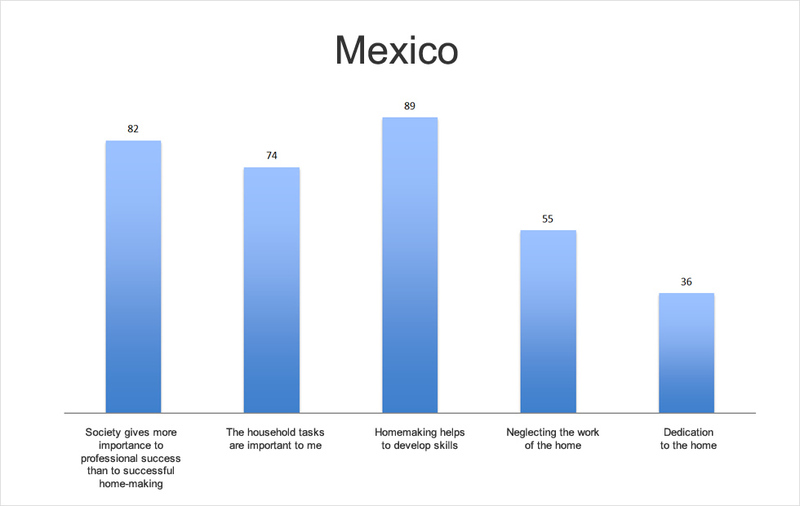 The percentage in the graph shows the amount of participants who believe that their work commitments lead them to neglect time which should be dedicated to home and family life. The percentage in the graph shows the amount of participants who think that they spend enough time to run their homes well.